Earlier, the capital’s already congested streets were jammed with colourful parades and peaceful demonstrations, bringing traffic to a standstill. 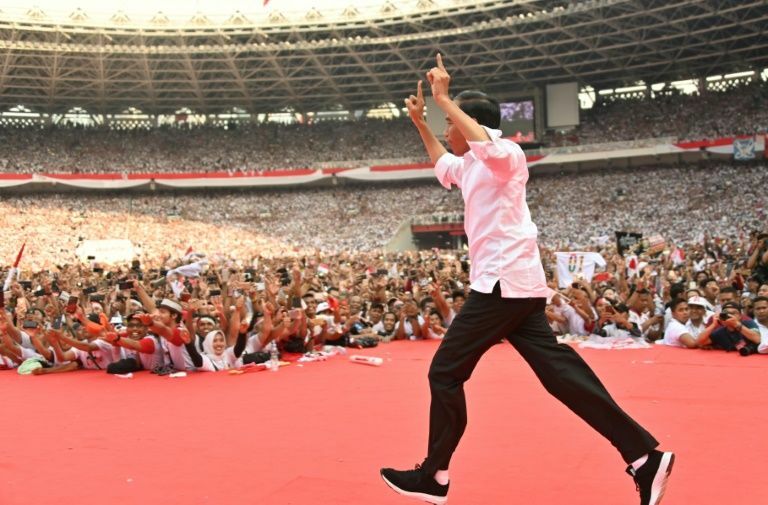 Indonesian president Joko Widodo gestures as he arrives onstage for an election rally on the final day of campaigning in Jakarta(AFP). “Our country is a big nation of different ethnicities, religions, traditions and cultures,” he said. Widodo campaigned on his infrastructure-driven bid to rev up Southeast Asia’s largest economy, while Subianto pledged more defence spending and a review of foreign investment in the sprawling archipelago.